Please read the following terms and conditions before ordering. We accept direct bank deposit, EFT, visa, mastercard, EFTPOS, bank cheque, money order & company cheques. Goods will be dispatched once payment has been approved. If a cheque is dishonoured, the bank administration costs will be charged to the customer. When ordering, to help speed deliveries and maintain accuracy of orders, please order by product ID. All our goods are shipped using the best method available to the destination, that can be tracked eg couriers, registered mail, express post. Some orders will be shipped direct from the supplier. Freight is calculated on the size and weight of the goods ordered. MAPC makes every effort to supply products accurately and timely. MAPC will not be responsible for any delay or failure to meet a shipment date due to transport failure, floods, war, act of terrorism, accident, fire, industrial action, supplier delay, manufacturer delay or any other circumstances beyond our control. We strive to maintain accurate pricing, however prices and products are subject to change without notice. Prepaid terms and direct shipping from suppliers are two of the methods employed to give our customers the best prices possible. 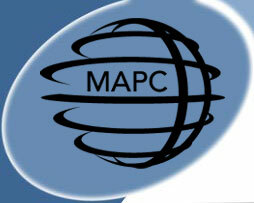 MAPC is committed to supporting the warranties on all our products. The warranty period and conditions vary from product to product. The warranty period is printed inside each product manual. You can also check the warranty period of our products in the specifications on this and/or the suppliers web sites. Our major supplier, Cody Corporation, stocks a full range of spare parts for their whole product range and their service department is staffed by highly skilled factory trained technicians. If your instrument needs to be returned to Cody for repair we can supply an equivalent product on loan in most cases. If you have any questions about any warranty, for any product, please contact us. Please contact us by phone or email before returning any items to us. Refunds will happily be given, if equipment purchased is not suitable for the task. Goods must be returned to us in original packaging and in as-new condition within 14 days from delivery date. Unfortunately freight cannot be refunded as this would increase our costs and therefore increase our pricing for all. No oral or written information or advice given by any employee of mapc shall create a warranty or in any way increase the scope of this warranty. It is the purchaser's responsibility to ensure that the product they purchase is suitable for the proposed use.